Atlas Pain Relief Centre is located in Tamworth town centre on the one way system. If you are driving then you will eventually pass the clinic if you follow the town centre signs. We are located on a corner plot at Victoria Rd. 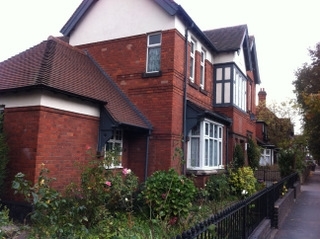 Look out for the Atlas Logo positioned on the wall of the detached Victorian house. From the A5, take Tamworth town centre exit, go straight on at the Asda Roundabout, at the next roundabout take the second exit towards Lichfield. Cross the river and turn right at the next roundabout. Pass the fire station on your left and at the end of the road turn left at the Tamworth Council traffic lights. Pass the bus station on your right and turn right at the traffic lights. Keep in the right hand lane and follow the road to the right, move into the left hand lane passing a car park on your left and you will pass over speed bumps. Railings and pedestrian crossing in front of you. We are the corner house on the left! From Tamworth – Turn off the A5 at Atherstone town centre exit, under the bridge and follow road to the right passing Aldi Store on your left. Just after Aldi you will see a free car park on your right hand side Atlas is located on the entrance of this car park next to the doctor surgery. From Nuneaton A5 – Follow Atherstone town centre sign, as you get to the town you approach a mini roundabout where you take first exit left. At the second mini roundabout turn right. You will then shortly approach a painted roundabout where you go straight on, pass the bus station on your right and you will come to a car park on the left. Atlas is on the entrance to this free car park. If you are approaching down Blossomfield Rd towards Solihull town centre you will pass Solihull College on your right, continue past Norman Green Leisure Centre and under the railway bridge. 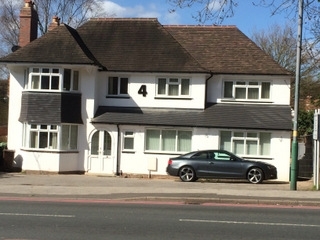 The clinic is the last house on the left before the roundabout. If you are approaching down Streetsbrook Rd from Hall Green, turn right at the traffic lights at Solihull Fire Station into Station Approach. Proceed past the railway station and follow the road down to Blossomfield Rd. Turn left and the clinic is just on the left before the roundabout. 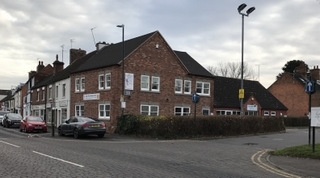 If you are approaching Blossomfield Rd from Solihull town centre the clinic is the first house on the right as you leave the roundabout onto Blossomfield Rd. Often in the rush hour it is difficult to cross the traffic onto the drive. We suggest driving further down and turning into station approach and then turn around near the station, or better still avoid Blossomfield Rd and take Streetsbrook Rd off the roundabout. Then turn left at the Fire Station lights following the road down to Blossomfield Rd where you turn left. We are the third house on the left after this.